The complete schedule of the Deadly Intent blog tour is here. 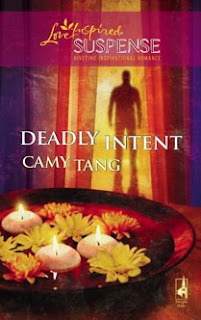 My gorgeous friend, Mrs. Montana International, Angie Breidenbach reviews Deadly Intent. Hi Camy! Congrats on the blog tour. I'm about halfway through your book and I LOVE it!